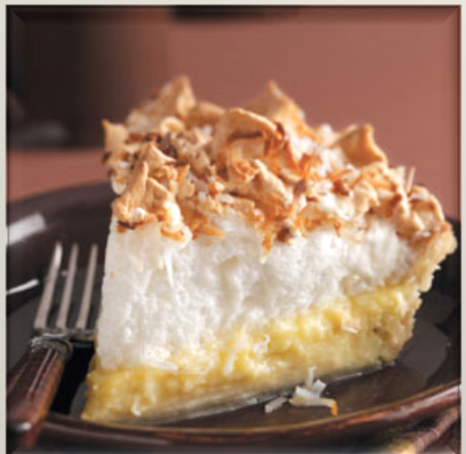 Coconut Cream Pie is one of the delicious pie you can make using coconut. The recipe is not only easy to make and amazingly healthy and mouth-watering. In a small heavy saucepan, combine the sugar, cornstarch and salt. Add milk; stir until smooth. Cook and stir over medium-high heat until thickened and bubbly. Reduce heat to low; cook and stir for 2 minutes longer. Remove from the heat. Stir a small amount of hot filling into egg yolks; return all to the pan, stirring constantly. Bring to a gentle boil; cook and stir 2 minutes longer. Remove from the heat; stir in the coconut, butter and vanilla. Pour into prepared shell. In a small bowl, beat the egg whites, cream of tartar and vanilla on medium speed until soft peaks form. Gradually beat in sugar, 1 tablespoon at a time, on high until stiff peaks form. Spread meringue over hot filling, sealing edges to crust. Sprinkle with coconut. Bake at 350° for 17-20 minutes or until golden brown. Cool on a wire rack for 1 hour. Refrigerate for at least 3 hours before serving. Store leftovers in the refrigerator. Yield: 8 servings. 1 piece equals 342 calories, 15 g fat (8 g saturated fat), 92 mg cholesterol, 255 mg sodium, 46 g carbohydrate, trace fiber, 6 g protein. 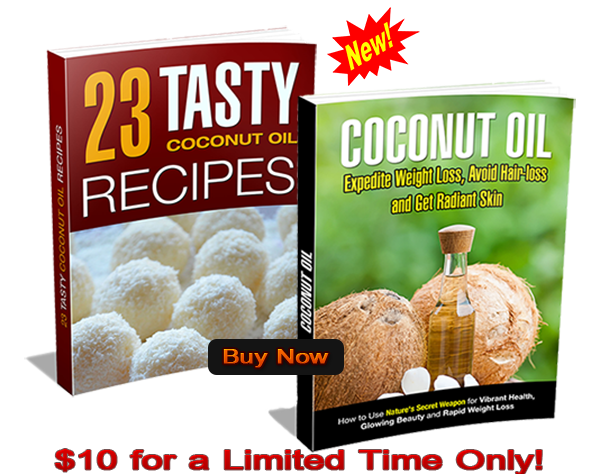 Coconut is rapidly becoming the new “superfood”…and whether you choose to enjoy it raw, in coconut milk, use coconut flour in your baking, cook with coconut oil or drink coconut water during your daily workout, the undeniable truth is that there is a lot of nutrition packed into a relatively small nut. 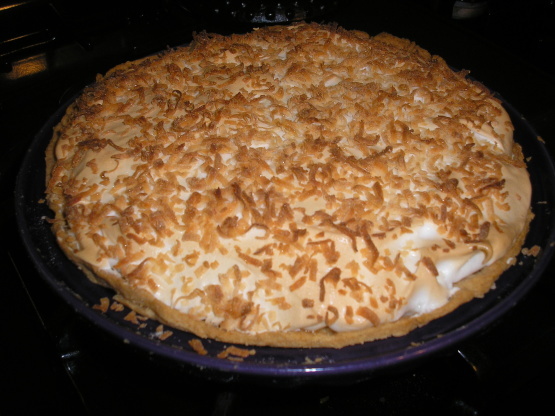 Coconut Cream Pie contains coconut meat. The meat is the rich white lining inside of the coconut shell. It can be eaten raw, whizzed into smoothies or used in cooking and baking. 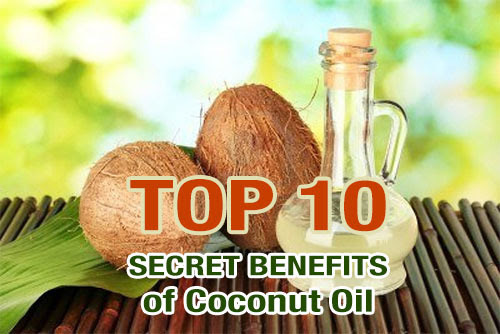 While coconut meat has long been thought unhealthy because of it’s high saturated fat content, recent studies have found that the type of triglycerides that it contains, called MCT’s, are transported from the intestinal tract to the liver and immediately converted to fuel, meaning that there are very few left in the bloodstream. They are also though to increase the body’s ketone levels, helping to regulate glucose and potentially ward off neurological diseases like Alzheimer’s. 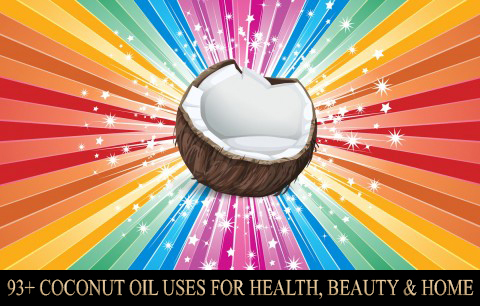 Coconut meat is thought to help ward off heart disease and strokes as well as being rich in Vitamins A and E and polyphenols and phytestorals, which help to lower LDL cholesterol, a high risk factor for cardiovascular disease. Besides desserts like Coconut Cream Pie, coconut meat can be used as a garnish on salads, made into coconut chutney, toasted and used on cookies and cakes or made into a smoothie using low-fat yogurt, berries, bananas and other healthy ingredients.